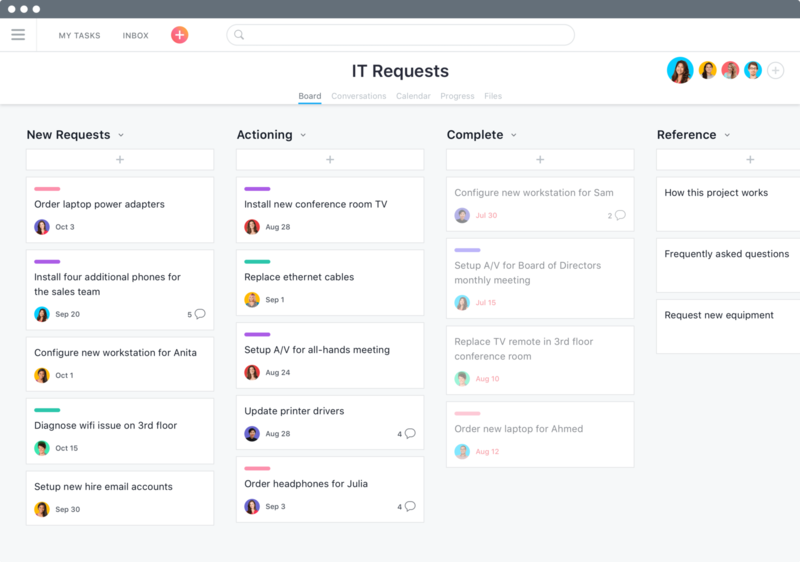 Check out these use cases and see how your team can find success with Asana. Take your strategies, messages, and campaigns from conception to execution. Give employees the clarity they need to meet their goals and find purpose in their work. Track design workflows and requests to stay organized and spend more time creating. 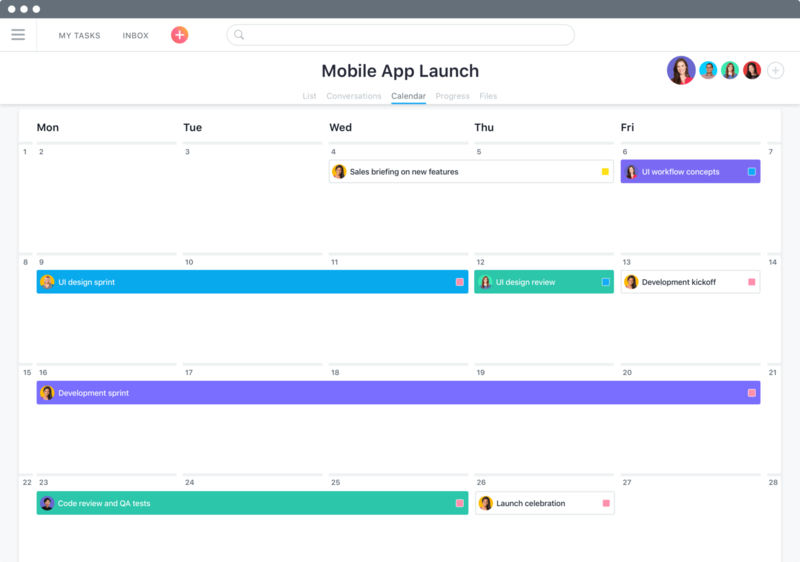 Plan and manage your product launches in Asana, so you can ship on time. Manage everything from help desk requests to opening a new office. Stay on top of strategic planning, project progress, and employee workloads with Asana. 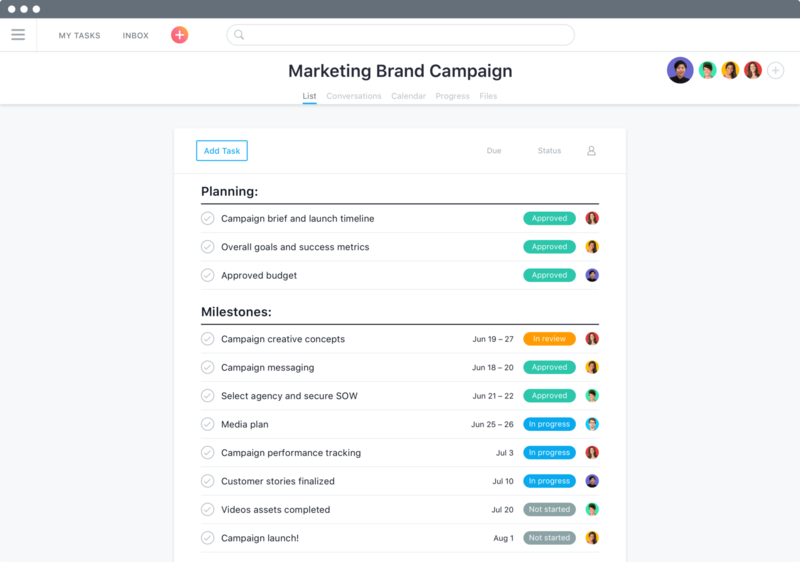 From interviewing to onboarding, track HR and recruiting workflows with Asana. 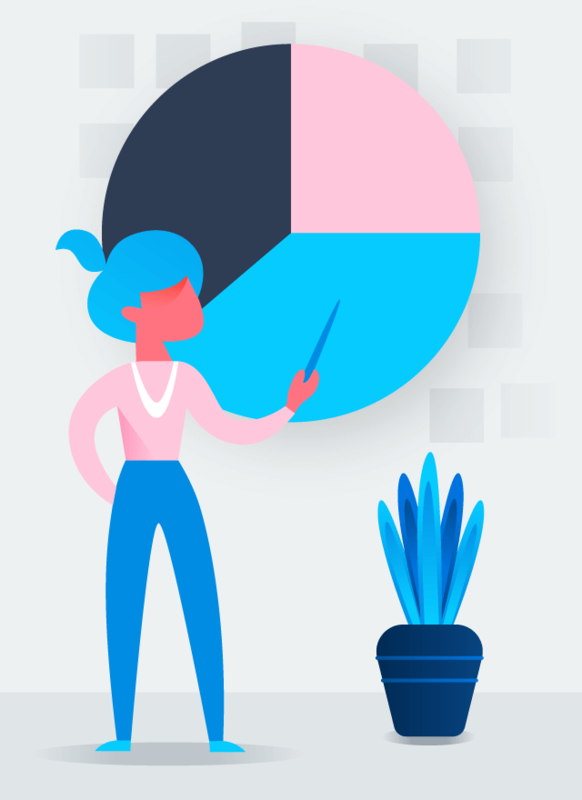 Track growth projection planning, budget meetings, and everyday work in Asana. 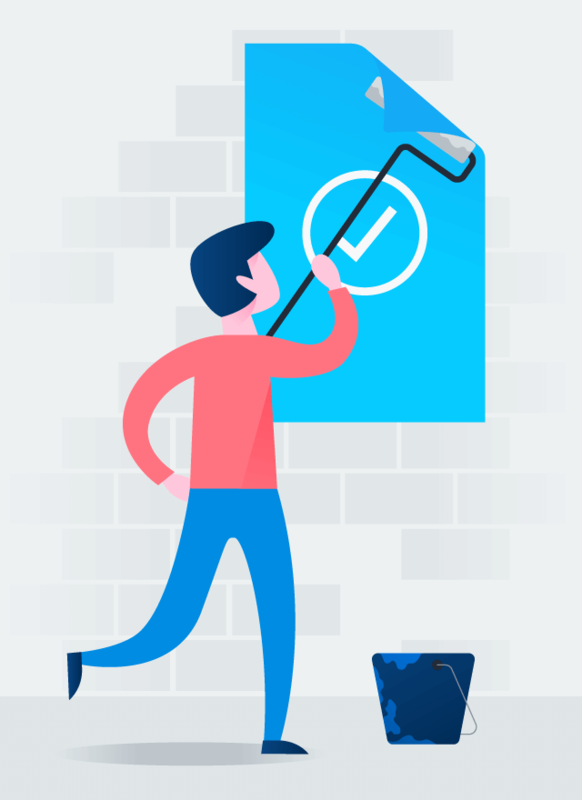 Manage accounts and track sales pipelines, so your team knows how it’s performing. 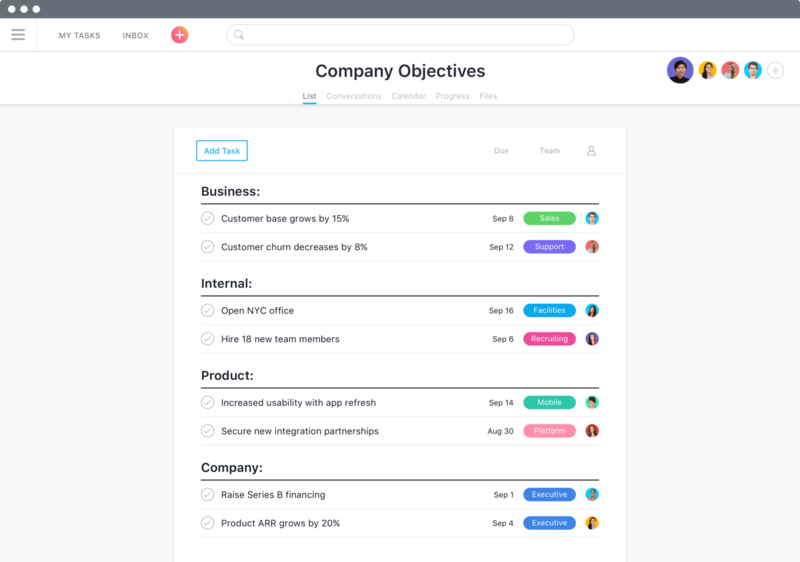 Plan your sprints, track bugs, and centralize feedback in Asana. 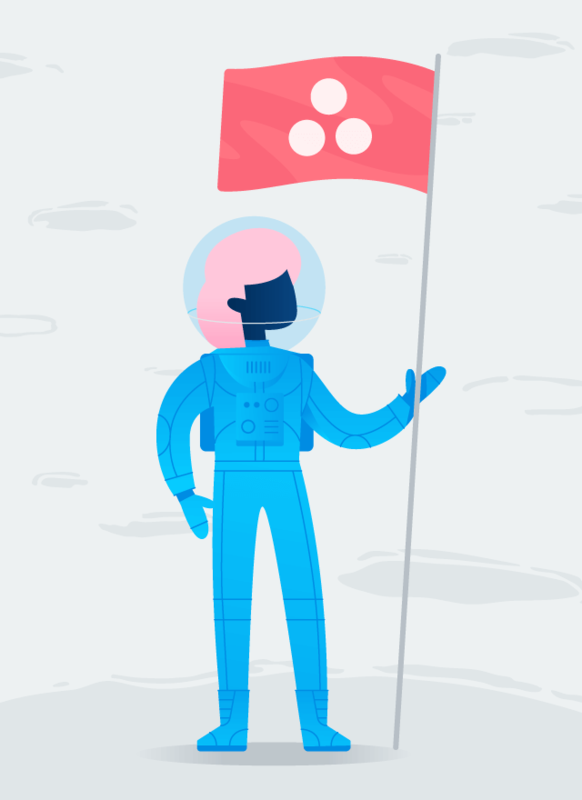 Whether your next event has ten or 10,000 attendees, use Asana to plan every detail. Connect work to goals and milestones in one place so everyone knows what work is the most important and how it ladders up. Launch new products faster by keeping everyone on the same page about who’s doing what, by when. Drive creative briefs from idea to execution, and deliver compelling campaigns on time and on budget. 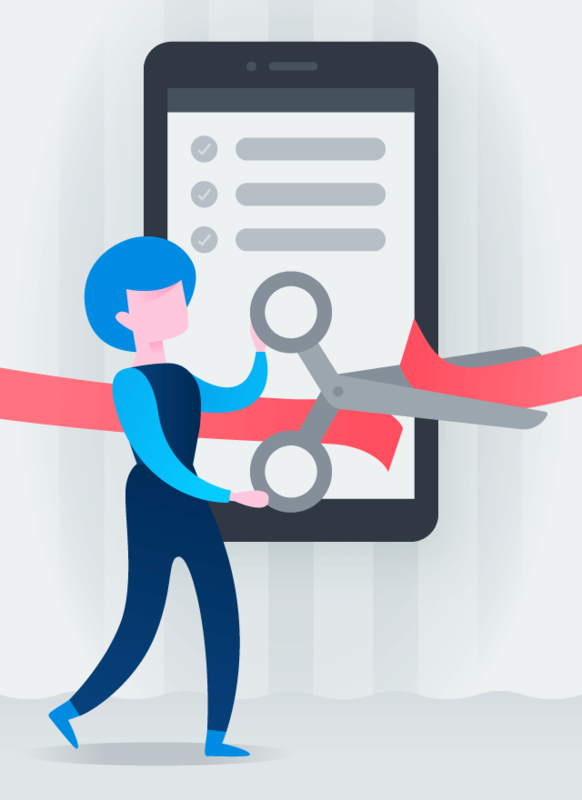 Centralize and prioritize all work requests, and assign work—all in one place—to help your team produce better work faster.